There are certain people who have walked this earth that demand our attention, deserve to be known, if only because they have directed large swathes of humanity in a new direction. The Prophet of Islam, Muhammad, is, without doubt, one such person. A cursory glance over the books that have been written about Muhammad from an objective standpoint all indicate his nobility of character, his deep connection with God and the simple life he chose to lead. I’ve been studying his life for quite some time now, listening to the voices of those who deeply love him, those who can’t help but use slurs whenever they hear his name, as well as those somewhere in the middle. It would probably do us all some good if we took a step back, looked within ourselves and reflected on what the Prophet Muhammad means to us. If you know nothing about him, ask yourself: why not? If you hate him and feel the need to disparage his character, does that say anything about you? And if you claim to love him, do you really? I originally intended on writing one paragraph on the Prophet of Islam, perhaps to share on social media, but it would have been an injustice to such a fascinating life. This is not meant as a biographical and sequential piece, but just some personal reflections. 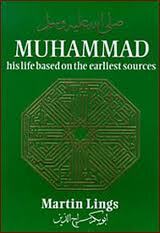 Muhammad lived almost 1,500 years ago in the midst of the Arabian deserts. He lost his father before he was born and his mother when he was a young child. He was then taken care of by his grandfather, who also later passed away, before being taken under the tutelage of his uncle. The young Muhammad was immediately exposed to the vicissitudes of life and confronted with hardships, hardships that would not only continue, but intensify as he set sail on a life-long turbulent journey. In his younger years, he became known for his truthfulness, honesty and kindness. But, at the same time, there was something different about him. He refused, for example, to participate in the worshipping of man-made idols – something he thought to be a very strange practice. In his mid twenties, he married Lady Khadijah, a businesswoman 15 years his senior – who it is said saw within him goodness and humility. He was happily married to her monogamously for 25 years. It was during this marriage that he began to receive divine Revelation, transmitted to him by the Angel Gabriel, who took on human form. For the rest of his life, he was in constant communion with the divine. 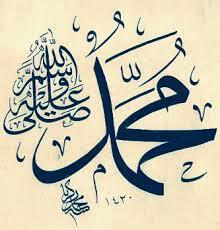 Muhammad, now the Prophet of Islam, became the final of all the divinely-inspired messengers of God. Islam – meaning to surrender to the Truth, to Reality, to Allah – teaches that it is merely an extension and synthesis of all the previous divine religions, the final brick that completes the home for humanity. During his Prophethood, Muhammad continued to ascend spiritually, gaining intimate proximity with his Lord. He is often called the chosen one, and not without good reason: he possessed within him a secret veiled from us, and a reality only known by his Lord. “The true representative of Allah is not just some wooly-minded, kind, benevolent saint who always turns the other cheek. But he sometimes has to uphold Allah’s rule,” a luminary once said. This is why Muhammad, the perfected human being, manifested attributes of mercy as well as rigour. These qualities, which are needed in different situations, allowed him to deal with the reality of his time. It seems strange that those who malign him tend to disregard the milieu in which he lived. This was the pre-modern world, one that would be unrecognisable to modern people. Arabia was deeply entrenched in patriarchy, hostility, conflict, war, the burying of female babies, idol worship and instability. This is important to remember when looking at his life. The Prophet’s detractors should remember that he did nothing out of line with the customs and traditions of his time. With this in mind, many of the accusations levelled at him seem to stem from wilful ignorance and disingenuousness. Without knowing his social conditions, any anthropological glance over his life becomes desperately depleted of any real meaning. He was also attacked, ridiculed and laughed at during his Prophethood. But his response was always one of patience, firm resolve and forbearance. However, for the sake of the preservation of the religion, he had to do more than just forgive people, he also went to war with his enemies who were bent on destroying what he had brought. He was even offered a life of luxury and worldly pleasures, but he refused. Instead, he devoted his days to teaching, attending to people’s needs, spending time with family and leading his fellow Muslims in prayer. He ate very little. But he would often eat more when invited to eat with others, not to make those he shared a meal with feel uncomfortable. He lived among the poor and led a largely unassuming life. He sat in the middle of his companions in an unnoticeable fashion. And when people called him, he would turn his whole body to them, giving them his whole being. His house was always open, people could come day and night. He turned nobody away. At night, he slept little, and preferred solitude with his Lord, standing for hours at a time in prayer, adoration and intimate discourse with his Beloved. To engender the love of someone within one’s heart, God created Muhammad beautiful both inwardly and outwardly. And this beauty has been captured vividly. Almost every aspect of the Prophet’s life has been recorded, even down to the most intricate details of his physical appearance. He was described as extremely handsome. Not short as to look insignificant nor too tall to look overbearing. He was a good weight, had a broad chest and shoulders and maintained a flat stomach till old age. His face was bright and luminous, neither white, nor tanned, but brown with whiteness, his eyes and hair were black, his eyelashes were long and his hair slightly curly, his nose was prominent, his cheeks even and soft and his mouth moderately wide. In the Islamic tradition, it is said that Allah is Beautiful and He loves beauty. In creation, there must something that represents perfect beauty, which is contingent and not absolute, and recognises the beauty and perfection of the divine – this is Muhammad. And this is why he sits at the summit of all creation. An very articulate on our beloved Prophet. May Allah give him every blessing possible. ASAK, i read the article again today. So simply written and its wonderful to read it again . I am giving Dawa on internet for over 4 hours a day, may Allah give His blessings to our Rasool and promote His religion.